This mysterious crypt, dated 1764, has piqued the curiosity of New Orleans Square visitors for years. The prevailing rumor about its backstory is that it was once meant to tie the stories of the Haunted Mansion and Pirates of the Caribbean together. Whatever the truth may be, it is a superb detail that deepens the unspoken history of New Orleans Square. 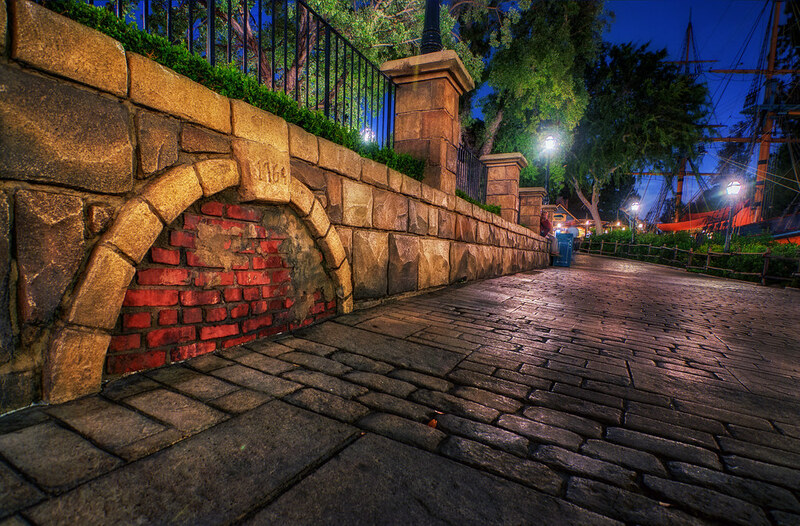 This entry was posted in New Orleans Square and tagged bricks, crypt, Haunted Mansion, HDR, night, Pirates of the Caribbean. Bookmark the permalink.